Biotechnology sector has flirted with new 52-week highs multiple times this year, only to retreat. The sector, as represented by the Nasdaq Biotechnology Index ETF (IBB), remains bound in a range between 280 and 300 level as it has been for nearly 3 months. However, the trading range has tightened, as the lower bound has risen from the 240 level in 2016. If observed carefully, the biotech sector is now further raising the lower bound towards 290. The market environment has only become better this year, as the earnings, economy and monetary policy provide the backdrop supporting the market. In the US, we have been in a somewhat Goldilocks scenario, where economically the key supports have been optimally positioned for the market - earning growth, a mild interest rate environment, and the promise of more pro-growth policies. This is a heady combination for generating investment returns. Earnings for the S&P 500 grew at a nearly 14% rate for the first quarter, highest in over 5 years, and well above the 9% expectation held at the beginning of April 2017. Interest rates are expected to rise a quarter-point at the next FOMC meeting on June 13-14, and the Federal Reserve forecast of three hikes this year appears to be in no urgent need for an upward revision. Industry and investor eyes have been on the ASCO 2017 conference, which got underway last Friday and ended Tuesday, June 6. The oncology presentations have delivered largely positive news, raising the interest level in biotechnology stocks. Merck's (MRK) blockbuster immuno-oncology drug Keytruda has earned tremendous spotlight, but there were many other companies which garnered attention for their development successes. Incyte provided updates on its IDO1 drug Epacadostat and its combinations with Keytruda, and Bristol-Myers Squibb's (BMY) Opdivo, as the Company works with the FDA on its Phase III studies. Johnson & Johnson (JNJ) presented positive data for a combination of its Zytiga drug for prostate cancer. The Company's drug has been competing with Xtandi, from Pfizer (PFE), a drug that was acquired when it purchased Medivation. AstraZeneca (AZN) was not far behind, providing very strong data for its leading PARP inhibitor. Even mid cap and small cap companies got the spotlight with their positive news. 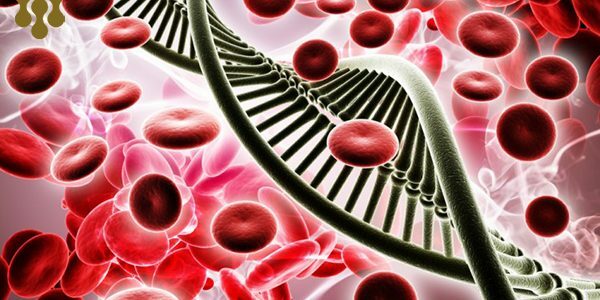 Kite Pharma (KITE) provided strong remission data for its Phase I study of acute lymphoblastic leukemia. Bluebird (BLUE), partnered with Celgene (CELG), also provided a strong update on its multiple myeloma program using CAR-T therapy, with a majority of the small pool of patients achieving an objective response. Even Juno Therapeutics (JUNO), which last year had a failed trial claiming lives, provided positive news in its early-stage non-Hodgkin lymphoma study using its CAR-T therapy. Loxo Therapeutics (LOXO) provided strong data on its Tropomyosin Receptor Kinase ((TRK)) fusion program for its lead drug Larotrectinib - LOXO 101, which witnessed high remission rates across different tumor types. Similar to the approach of Merck's Keytruda, which was approved for a genetically defined use rather than a particular organ or site use, Loxo is targeting the TRK biomarker across different tumor types. Investors saw the potential and delivered a 50+% gain the next trading day. The news flow has been positive and this continues to bode well for the sector, which continues to see more IPOs and financings than at any time last year. 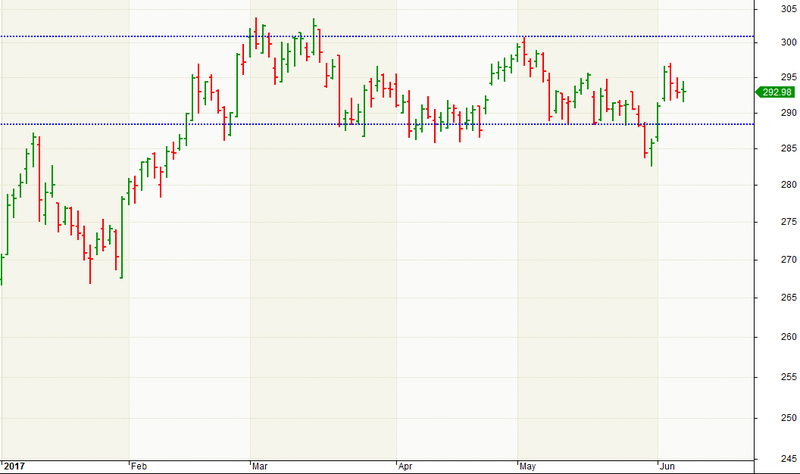 In a slowly rising sector consolidating for many months, a catalyst can provide the momentum to breach the upper range. For the Biotech sector, this catalyst can be a high valuation, sector-specific acquisition. Gilead Sciences (GILD) is often mentioned as a company with a growing urgency to acquire, and that too acquire something big. But there are many other large biotech and pharmaceutical companies like Pfizer, Amgen (AMGN), Biogen (BIIB), Ell Lilly (ELY) and Novartis (NVS), that have indicated an interest in acquisitions. Besides larger biotechs like Incyte (INCY) and Vertex (VRTX), there are a number of midcap and smaller cap companies that can come into play, particularly as positive data continues to be announced. However, M&A has not picked up pace in spite of compelling reasons, including the revenue struggle of larger biotech and pharmaceutical companies. As pointed out in the article, Biotech at an Inflection Point, the M&A transaction value in the first quarter was lower than the same period last year, and it most likely will remain so for the second quarter. The slower pace can be partially explained by unclear health care policy relating to drug-price regulation, and the future of the Affordable Care Act ((ACA)). But as Gilead recently noted during its earning call, business reasons dictate acquisitions, and lack of policy clarity is something that the industry is accustomed to. Considering that M&A timing is unclear, hard to predict, and may not prove to be an imminent catalyst, there are other potential catalysts that may emerge sooner. Is there anything that can create a case for an impeachment, through an obstruction of justice argument? The market has already processed the salient points regarding the Flynn-Trump-Comey controversy. If the Impeachment Meter gauge doesn't show the needle progressing towards "I," due to no new material disclosures, then from a market standpoint it will be a sigh-of-relief, and almost considered a big positive. No new adverse revelation can provide fuel for the broader market to maintain its upward trajectory and even move higher forcefully. This will benefit the biotech sector and provoke it to challenge the strong resistance at the IBB index level of around 300. However, news perceived "bad" will cause the market to react accordingly, and so will the biotech sector. The Biotechnology sector has a high correlation with small-cap stocks, as represented by the Russell 2000 index. Besides the fact that most of the biotech companies are small-and-midcaps, the correlation also reflects a risk appetite for the speculative segment of the market. If the Russell 2000 index, which has been going through its own consolidation since last December, forcefully breaks out this month with a broader market rise in large part due to the Comey Rally discussed above, the biotechs should follow-through with their own breakout since the sector is in a narrow trading range. Even though the rhetoric about price regulation has been aggressive, the truth is that all the policy-related positions of the new administration have thus far been supportive of bringing down drug costs using a more expeditious and efficient approval system. The recent appointment of Scott Gottlieb as FDA Commissioner further strengthened the viewpoint. If a new health care policy supporting this line of thinking becomes clearer, it will lift a cloud of uncertainty looming over the sector and pave the way for a sharp rise in biotech and pharmaceutical valuations. However, with the ACA repeal-and-replace bogged down, policy attention to the pricing subject may not come for some time. In addition, the health care sector remains sensitive to tweets from our mercurial President, who may remain vociferous of the industry "getting away with murder." At this point, policy clarity does not appear to be a near-term catalyst. We believe Biotech's best chance for breaking out of its trading range rests with a sharp broader market advance, which may well ensue if the testimony from former FBI Director Jim Comey is considered priced-in news. The biotechnology sector has not participated in a rally towards all-time highs, which the broader market has continued to enjoy since late last year. Biotechs are long overdue for a run-up, and portfolio allocation to this sector makes sense. So far in 2017, the biotech sector, as represented by IBB, has risen +8% and our Prudent Biotech Portfolio has risen +13%. This compares to a rise of 1% for the small-cap Russell 2000 Index, and +13% for the Graycell Small Cap Portfolio. There are many promising companies to form an attractive portfolio, and a few names include Regeneron (REGN), Exact Sciences, Vertex Pharmaceuticals, Supernus Pharmaceuticals (SUPN), Grifols (GRFS), Tesaro (TSRO), Axovant Sciences (AXON), Kite Pharmaceuticals (KITE), Aeri Pharmaceuticals (AERI), Novocure (NVCR), Foundation Medicine (FMI), Akebia Therapeutics (AKBA), Loxo Therapeutics, and TG Therapeutics (TGTX). At this time, we believe the first-half will be better for stocks, than the second half, primarily because of fear of unrealized expectations. Those unrealized expectations can pose the biggest risk for the stock market in the second-half. However, such risks are not yet imminent. In the meantime, let the market pass judgment on the Comey testimony, which may offer the best chance for a near-term catalyst to push the market and biotechs higher. As always, kindly do your own due diligence. For additional information, please check our profile by clicking on the name above. Also, you can consider checking the Follow button to receive such information in the future.